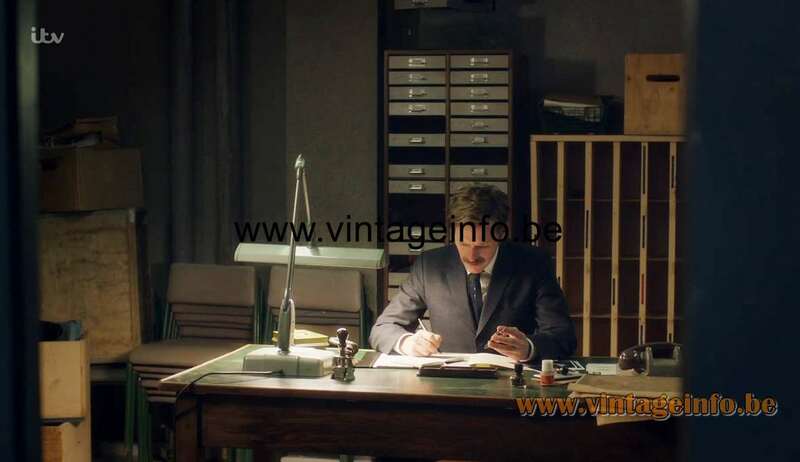 A Dazor Floating Fixture 2324 work lamp was used as a prop in the ITV TV series Endeavour (Endeavour Morse), series 6 (2019). Starring Shaun Evans and Roger Allam. Materials: Gray metallic painted metal and plastic. 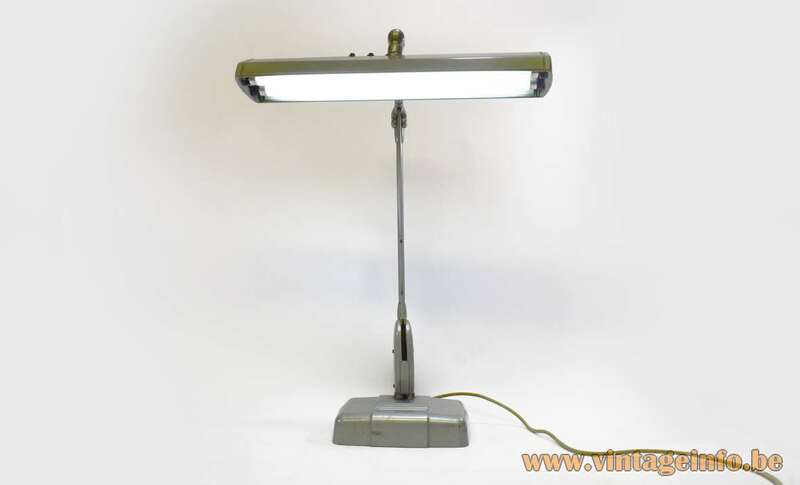 2 fluorescent light tubes. 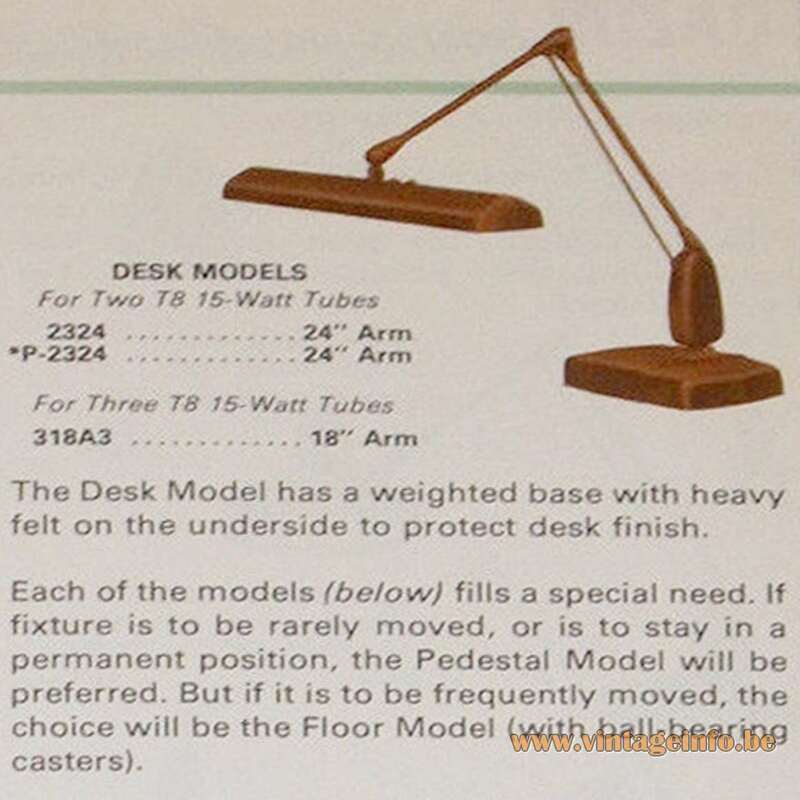 Heavy (cast iron counterweight inside) metal base. Electricity: 2 x F15T8/CW fluorescent light bulbs/tubes 15 watt, 110/220 volt. 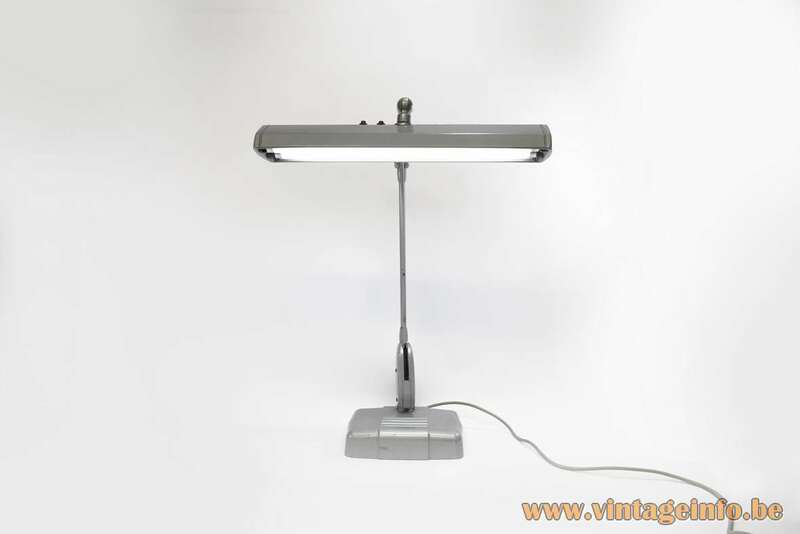 Manufacturer: Dazor MFG Corp, St. Louis, Missouri, today Dazor Lighting Technology, 430 Industrial Drive, Maryland Heights, Missouri 63043, USA. 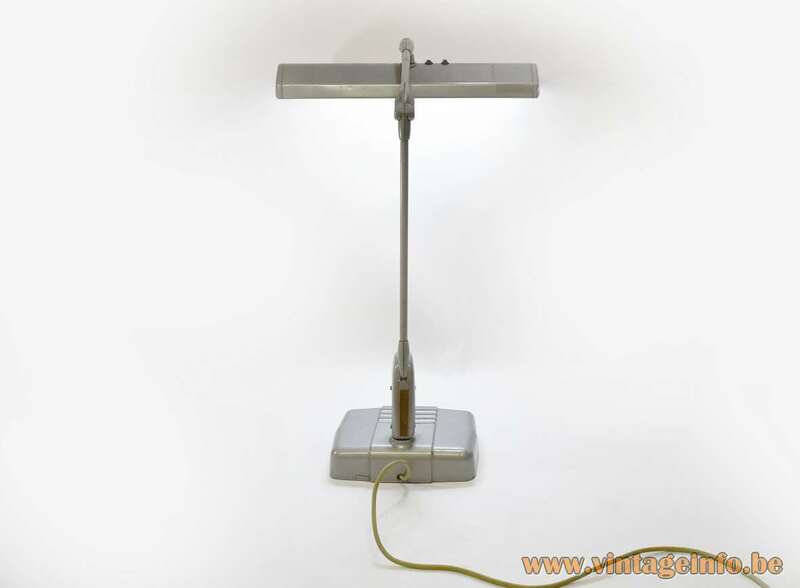 History: This industrial poise lamp was used for a long time in the Antwerp (Belgium) diamond industry. Below some pictures of a catalogue from the 1960s. 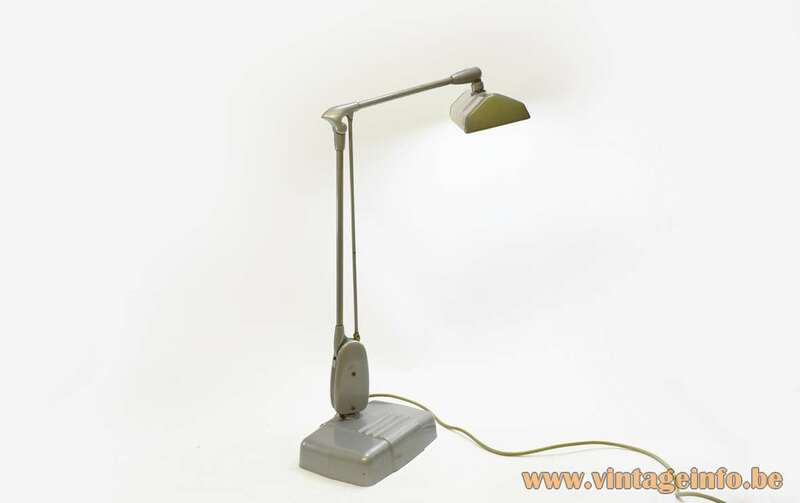 These industrial desk lamps were made for many years. 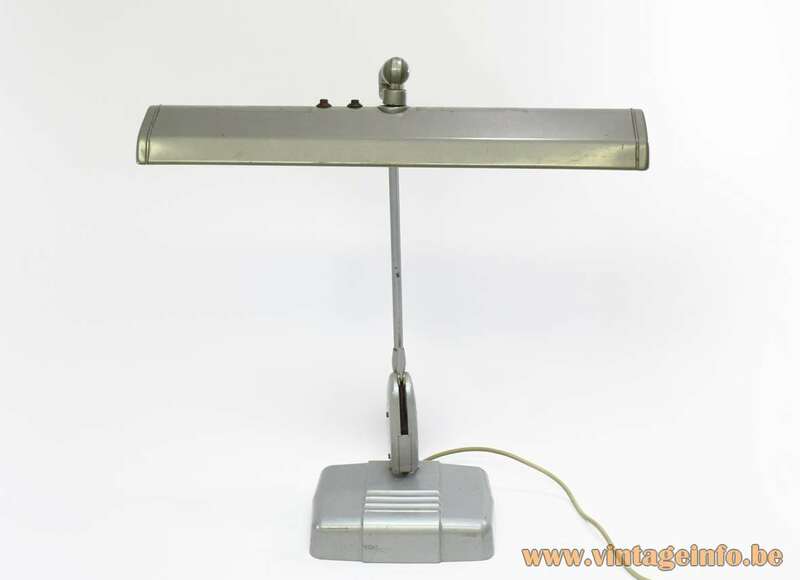 Regrettably, an email for more information about this lamp was not answered. 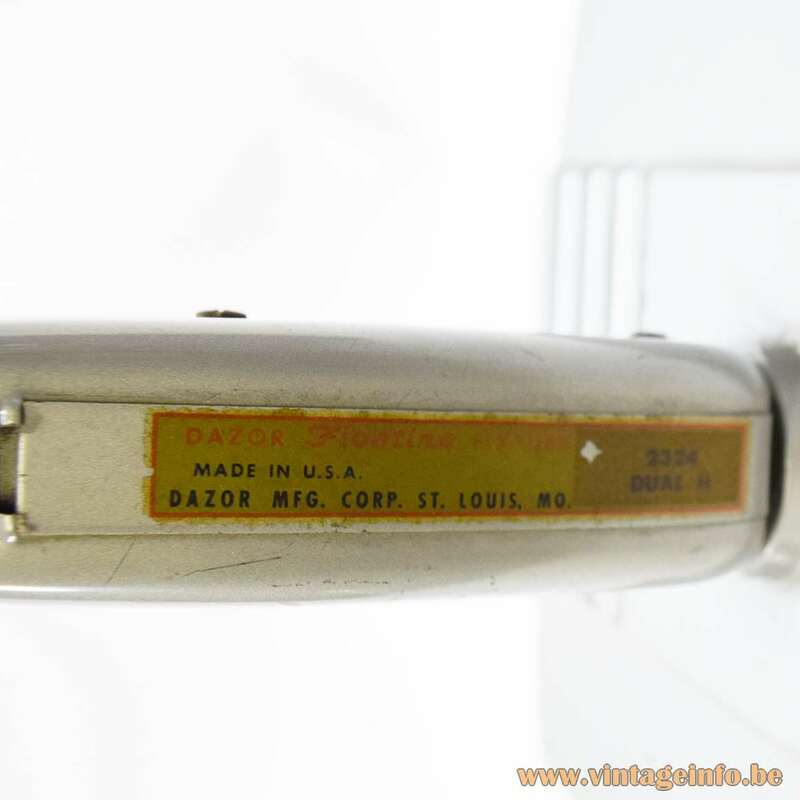 The Dazor company was founded in 1938 by Harry Dazey and Washington University professor Albert Perbal. 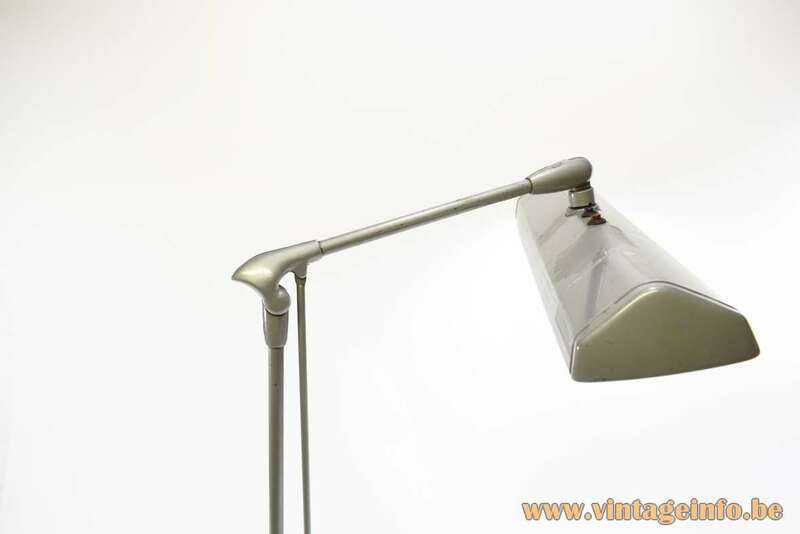 The precision-balanced “Floating-Arm” revolutionized the task lighting industry in the 1940’s. 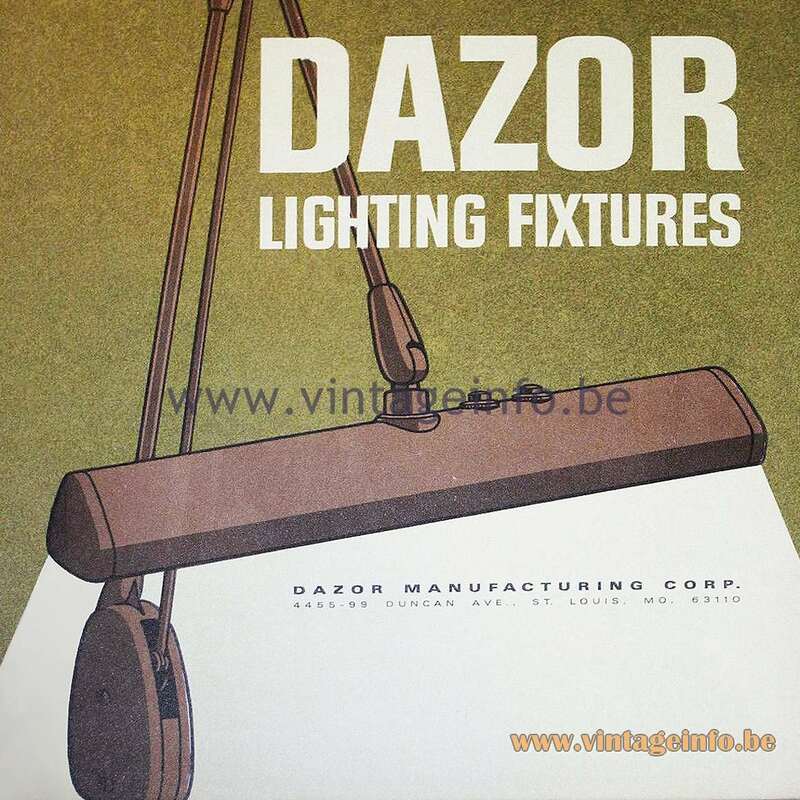 Dazor was also the first fluorescent lamp manufacturer to combine the technology of the portable task light with fluorescent light bulbs. They still produce similar lighting. 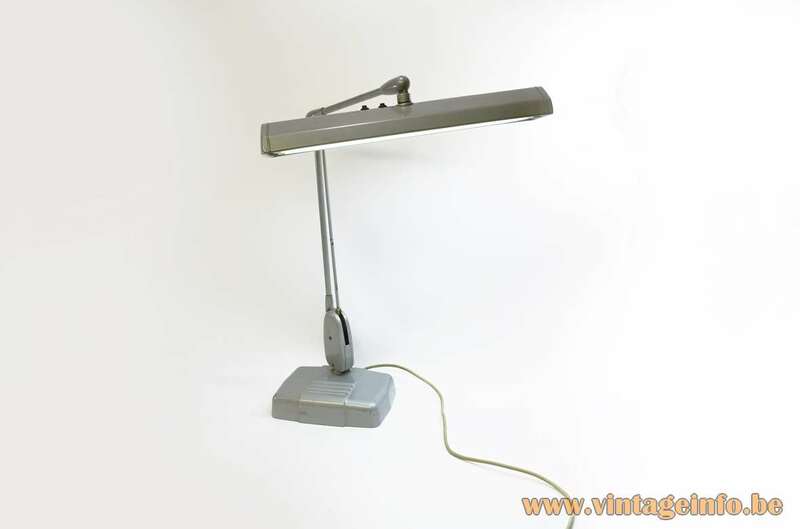 Several Dazor Floating Fixture clamp work lamps were used as a prop in the 1975 American political thriller film Three Days of the Condor. A film directed by Sydney Pollack starring Robert Redford and Faye Dunaway.